ACS Biomaterials Science & Engineering has announced the members of its inaugural Early Career Board. This initiative will provide young investigators with guidance and insight into the editorial process as they pursue their independent research careers. Over the course of a three-year term, the journal will foster professional mentoring relationships between its established Editorial Advisory Board members and Editors and the “in-training” Early Career Board. Dr. Abigial S. Knight grew up in Charlottesville, Virginia, before attending the University of North Carolina, Chapel Hill, as an undergraduate student. There she completed a major in chemistry with minors in mathematics and biology and pursued bioorganic chemistry research in the lab of Marcey Waters developing ligands for RNA and DNA structures. She pursued her Ph.D. in the chemical biology program at the University of California, Berkeley, in the lab of Matthew Francis. During graduate school she developed a combinatorial screening platform for identifying peptoid ligands with the ability to selectively bind metal ions of interest in various applications. 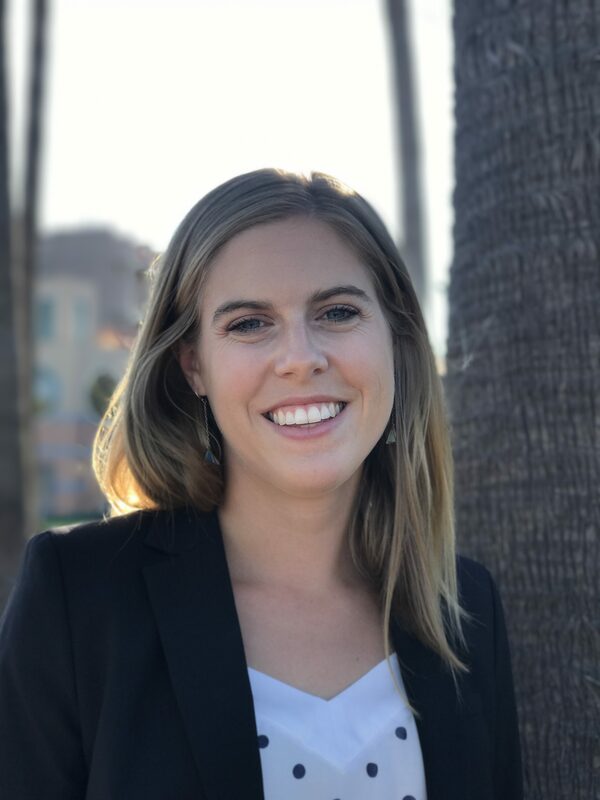 Her postdoctoral work at the University of California, Santa Barbara, with Craig Hawker has focused on developing polymeric materials with unique architectures and both biological and materials applications. In the summer of 2018, Knight returned to the University of North Carolina, Chapel Hill, to join the Chemistry Department as an Assistant Professor with research developing materials with the functionality of biological molecules and physical properties of synthetic polymers. Q: What has been the most rewarding moment in your career as a scientist or engineer? A: The most rewarding moment in my career so far has been the last few months of starting as an assistant professor. I have always loved working with students, and in the past few months that has been a much more significant part of my job description. Three undergraduate students have already joined my research group, and scientific discussions with them and prospective graduate students have been really exciting. Dr. Ann-Christin Pöppler is an analytical chemist with a focus on NMR spectroscopy and complementary techniques. She conducted research in NMR spectroscopy of organometallic compounds in solution and in stretched polymer gels during her Ph.D. at the University of Goettingen, Germany, with Professor D. Stalke and Dr. M. John. Then she was introduced to the world of solid-state NMR of small molecules and to XRD and computational methods through her postdoctoral experiences. She was based first at the Max-Planck-Institute for Biophysical Chemistry in Göttingen with Professor A. Lange and then at the University of Warwick, U.K., with Professor S.P. Brown. In her current position as a junior professor at the University of Wuerzburg, Germany, she wants to use as well as expand the versatile NMR toolbox to look at polymeric drug delivery systems both from the solid-state and solution point of view, with the aim of gaining an increased understanding of the structure and assembly of these complex host-guest systems. Apart from sitting at the spectrometer, Pöppler enjoys teaching and training of students both in the lecture hall as well as in the workgroup and is also happy to be part of the SMASH small molecule NMR conference Organizing Committee since the end of 2017. A: When the students said that they learned lots in the lecture, on one hand; and the moment when I understand a chemical system better based on our data, on the other hand. Dr. Behzad Babaei got his Ph.D. at Washington University in St. Louis under the supervision of Professor Guy Genin, who co-directs the National Science Foundation’s Science and Technology Center for Engineering Mechaobiology, and Professor Stavros Thomopoulos, who directs the Carroll Laboratories for Orthopedic Research at Columbia University. He is currently doing postdoctoral training at Neuroscience Research Australia, under the supervision of Professor Lynne Bilston. His first area of focus is on the problem of how mechanical regulation of cell and extracellular matrix mechanics drives both physiological processes, such as wound healing and development, and pathological processes such as fibrosis. Key open questions are how the detailed relationship between mechanics and biological processes such as growth, remodeling, and repair are regulated and inter-related. The second area of focus involves modeling wave propagation in viscoelastic media for validation of anisotropic magnetic resonance elastography methods. This work would enable physicians to non-invasively measure tissue biomechanical changes associated with early onset of fibrosis of the liver, lungs, heart, and kidney, and with the early onset of cancer in these soft tissues as well as the brain, breast, and bladder. The third area of focus relates to tissue engineering. A major limitation of many tissue engineering applications and of all existing artificial graft technologies is scarring. By optimizing synthetic grafts to match the anisotropic and viscoelastic properties of the underlying tissues, he aims to transform reconstructive surgery. Q: What do you see as the most exciting area of biomaterials research? A: The most exciting area of biomaterial research for me is synthesizing a biomaterial which is mechanically (considering its anisotropic, viscoelastic and nonlinear properties) tunable. Dr. Boyang Zhang is an Assistant Professor in the Department of Chemical Engineering at McMaster University. Previously, Zhang was a Banting Fellow at the University of Toronto and a co-founder of a start-up company TARA Biosystems, where he developed the manufacturing process of BiowireTM plates for cardiotoxicity screening. 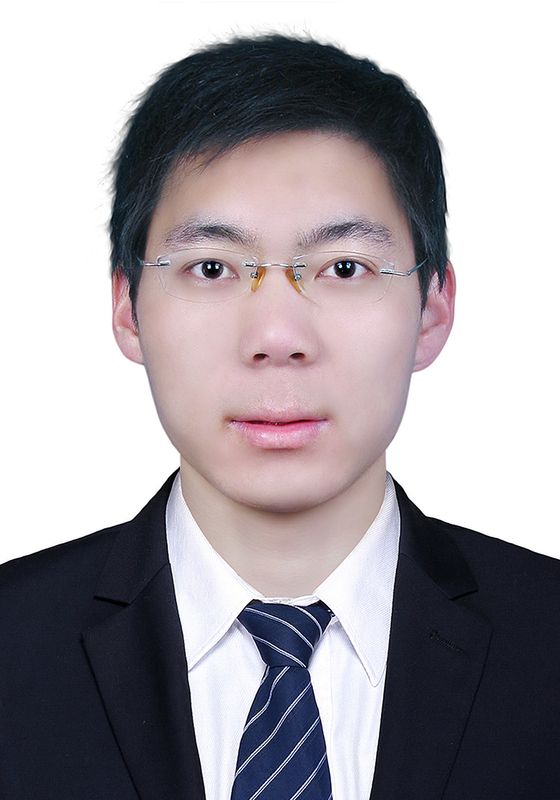 Zhang obtained a Ph.D. in chemical engineering and applied chemistry from the University of Toronto in 2016 and B.S. in chemical and biomolecular engineering from Georgia Institute of Technology in 2010. In his undergraduate study, Dr. Zhang was trained in microfluidics under the supervision of Dr. Hang Lu at Georgia Tech. Later, he pursued a Ph.D. in cardiac tissue engineering under the supervision of Dr. Milica Radisic. Zhang developed the AngioChip technology, which is a microfabricated implantable vascular scaffold. AngioChip was grounded in polymer chemistry and processing and enabled the creation of functional, vascularized heart and liver tissue models for organ-on-a-chip engineering in drug discovery, and tissue implantation in regenerative medicine. His research interest lies in the innovation of advanced biofabrication techniques integrated with insight from developmental biology to develop advanced in vitro tissue models for drug discovery and innovative strategies in guided tissue assembly for tissue regeneration. A: I am excited about the trend that biomaterials are becoming smarter. Our tissues and organs are dynamic, so should scaffolds and biomaterials. We hope to develop smart biomaterials that are not merely viewed as static skeletons but could structurally transform to guide tissue assembly over multiple length and time scale. Dr. Catherine Fromen is an Assistant Professor of Chemical and Biomolecular Engineering at the University of Delaware. She received her B.S. in chemical engineering in 2009 from the University of Rochester and her Ph.D. in chemical engineering from North Carolina State University in 2014, working with Dr. Joseph DeSimone at the University of North Carolina at Chapel Hill. After completing her postdoctoral studies at the University of Michigan as a University of Michigan’s President’s Postdoctoral Fellow, she joined the University of Delaware in 2017. 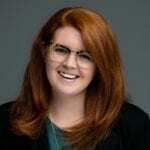 Among other awards, Fromen is the recipient of the University of Michigan’s Outstanding Postdoctoral Fellow Award and the Shelby A. Miller Prize. Fromen’s graduate and postdoctoral training focused on engineering interfacial particle-cell interactions to improve nanoparticle therapeutics. At the University of Delaware, the Fromen Research Group leverages these particle-cell interactions to study pulmonary drug delivery. The group applies engineering fundamentals, innovative tools, and current mucosal immunology to design therapeutic pulmonary aerosols and develop new analytical approaches to improve understanding of inhaled drug delivery. The group’s major research areas are: 1) leveraging 3D printing to advance in vitro tools for pulmonary drug delivery testing, 2) using engineered particles to probe lung biology and immune function, and 3) engineering novel therapeutics for controlled immune stimulation in the lung. Through all of these research areas, Fromen’s research group seeks to improve treatment options for patients with lung diseases. Q: Who has been the most important mentor in your career? A: The most important mentor in my career is my graduate advisor, Joe DeSimone. As an early graduate student, Joe would introduce me by saying, “this is Cathy Fromen, she wants to be a professor,” despite my repeated insistence that I was going into industry for a “real job”. He clearly saw potential in me, even when I wasn’t sure of it myself. Then and now, Joe has been an unrelenting advocate for me, supporting my growth as a researcher, professor, and human being. The opportunities and inspirations that he has catalyzed for me have been immeasurable and has set the bar for what mentorship should be. As I begin my own group, I find myself spouting many ingrained Joe-isms and hope to live up to his high standard of leadership to “represent the family well”. Dr. Chengpeng Chen received his Ph.D. degree in analytical chemistry under the guidance of Dr. Dana M. Spence at Michigan State University. 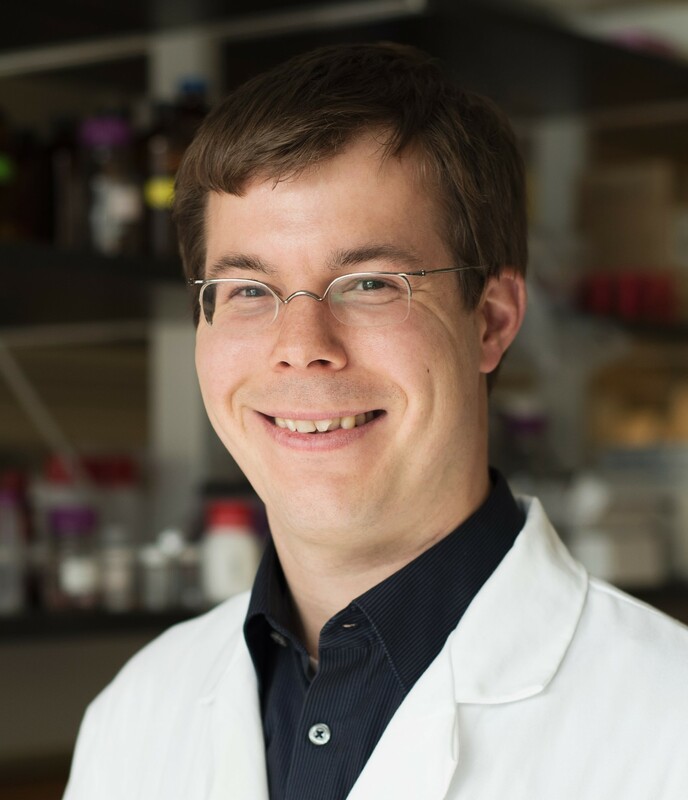 After that, he joined the Department of Chemistry at Saint Louis University as a research/teaching postdoctoral fellow with his Advisor, Dr. R. Scott Marti. 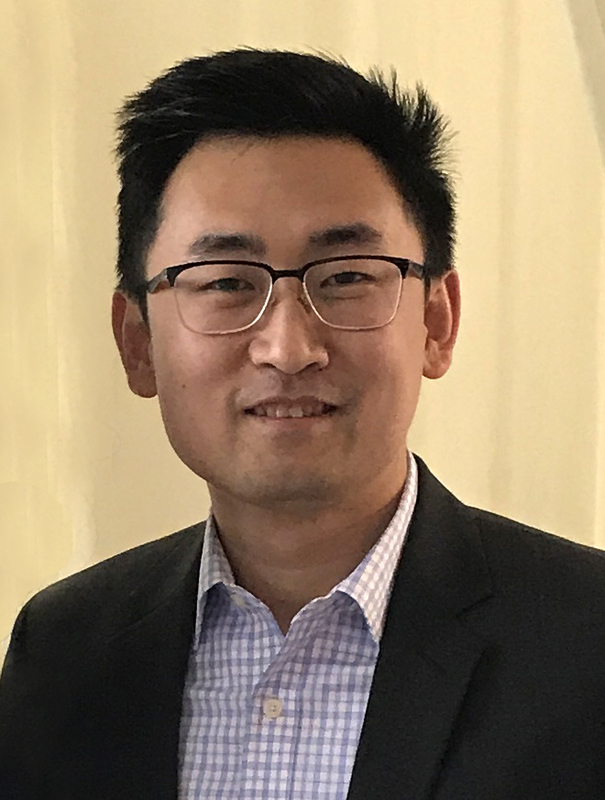 In August of 2018, Chen moved to the University of Maryland Baltimore County, as an assistant professor in the Department of Chemistry and Biochemistry. Chen’s research focuses on 3D cell culture in microfluidic devices. Scaffolds such as electrospun fibers and hydrogel are widely used in his lab. He is also interested in developing new 3D printing protocols to create biomimic fluidic devices. As an analytical chemist, another research focus of his is in situ and real-time quantitation. 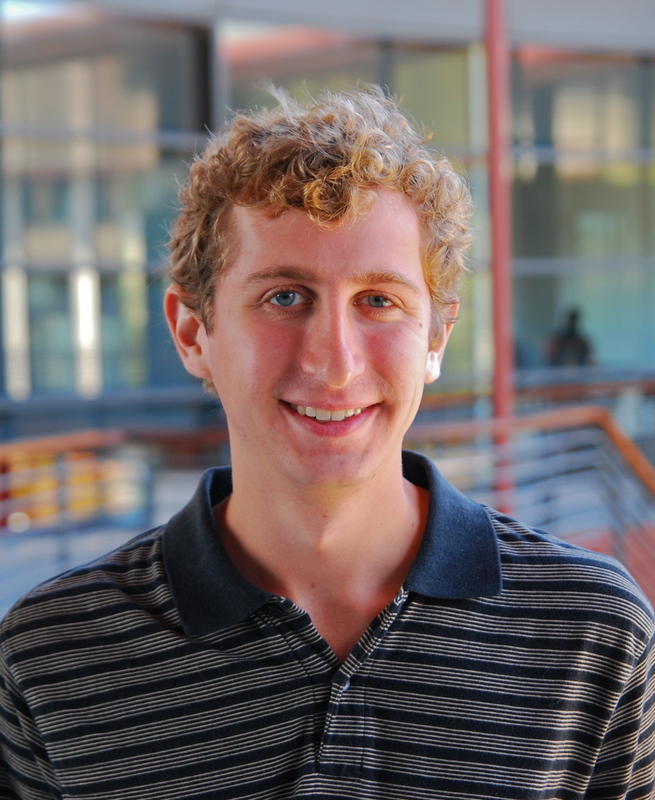 Dr. Christopher Madl is a Postdoctoral Fellow in Professor Helen Blau’s group in the Baxter Laboratory for Stem Cell Biology at Stanford Medical School. His research focuses on the development of novel hydrogel platforms to study mechanosensing in skeletal muscle stem cells. Madl completed his Ph.D. in bioengineering at Stanford University in 2017, working with Professor Sarah Heilshorn to engineer protein-based biomaterials to expand and differentiate neural stem cells. He previously completed a M.S. in engineering sciences and a B.A. in engineering sciences and chemistry at Harvard University, both in 2012. Madl’s research broadly focuses on the development of biomaterials to study and direct stem cell fate for applications in regenerative medicine and tissue engineering. He is particularly interested in the study of dynamic materials systems that recapitulate the temporal changes occurring naturally in the cellular microenvironment. 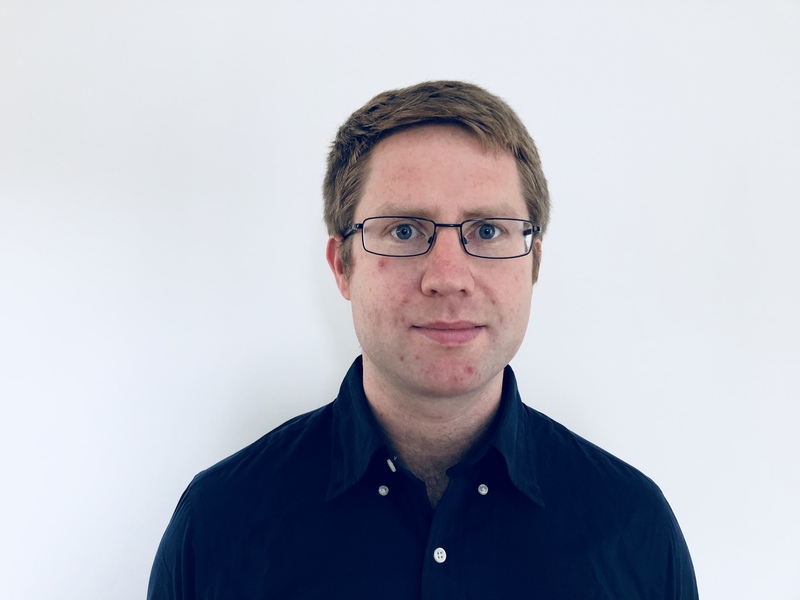 These include both cell-responsive materials, which were a focus of his graduate work, as well as materials that enable real-time, user-directed changes in the cellular microenvironment, which are the subject of his present work. Madl intends to become an independent investigator, directing a laboratory at the interface of materials science and stem cell biology. Q: What do you see as the most exciting areas of biomaterials research? A: I am most excited by recent efforts to recapitulate the complex spatiotemporal aspects of the native extracellular matrix in engineered systems. Advancements in polymer chemistry, molecular biology, and materials fabrication techniques are beginning to enable the production of engineered matrices that present complex biochemical and mechanical signals and respond to cell-mediated and user-directed inputs. Such materials will find applications in traditional tissue engineering approaches as well as drug screening platforms for personalized medicine. Dr. Christopher V. Synatschke trained at the University of Bayreuth, Germany as a synthetic polymer chemist and continued with his Ph.D. under the supervision of Professor Axel H.E. Müller on polyelectrolyte nanostructures for therapeutic applications. During this time, he had the opportunity to work as a visiting scientist in research groups at the University of New South Wales, Australia, and the University of Tokyo, Japan. Then in 2014, he joined the group of Professor Samuel Stupp at Northwestern University as an Alexander von Humboldt Postdoctoral Fellow. This gave him the opportunity to work in a highly interdisciplinary team with a focus on supramolecular instead of “conventional” polymers. In this role, he was introduced to the field of regenerative medicine. In 2017, he joined the team of Professor Tanja Weil at the Max Planck Institute for Polymer Research, Germany, where he now pursues his research on biomaterials as a group leader. A: I have had the honor of mentoring several bright, young students as part of my own scientific career. The times when motivated students engage in new ideas and challenge me during scientific discussions is the most rewarding part of my work. Dr. Erica Brown Peters is a Postdoctoral Research Fellow at the University of North Carolina’s Center for Nanotechnology in Drug Delivery. She is working to develop a noninvasive approach to alleviate plaque burden—the major underlying cause of cardiovascular disease—by utilizing bioresorbable, injectable peptide amphiphiles nanocarriers that release therapeutics in response to biochemical cues overexpressed in atherosclerotic lesions. She received her B.S. in chemical engineering from the University of Oklahoma and her M.S. and Ph.D. in biomedical engineering from Duke University. For her thesis, she developed a clinically translatable, tissue-engineered model of vasculogenesis by incorporating endothelial progenitor cells within biofunctionalized poly(ethylene glycol) (PEG) hydrogels. 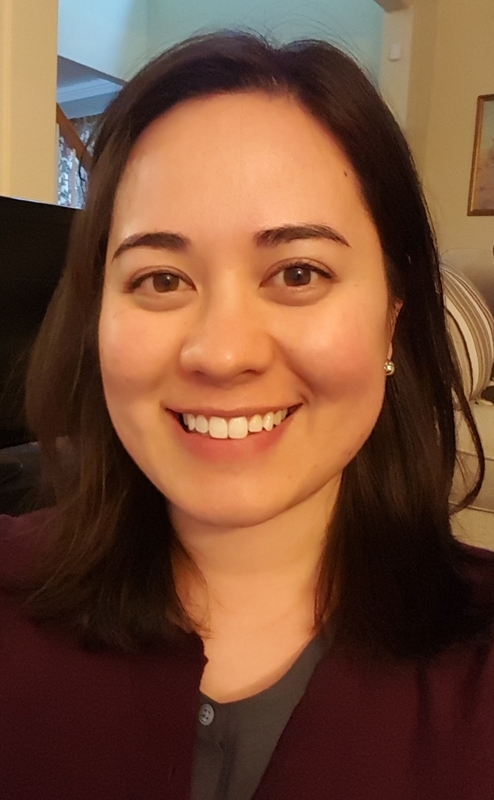 She was previously a postdoc at the University of Colorado’s Soft Matter Research Center where she investigated the cytocompatibility of PEGylated ‘clickable’ synthetic nucleic acids for gene delivery. Her career goal is to become an independent investigator developing advanced therapeutic biofunctional materials to resolve cardiovascular disease. A: I am very excited about the recent advancements in biomaterials for nanomedicine. In particular, the progress in developing nanomaterials that can interact with cells in more sophisticated ways. We are learning how to regulate the intracellular microenvironment by delivering biomaterials that contain gene-editing tools like CRISPR-Cas9, as well as developing materials that can manipulate the spatial presentation and activation of endogenous proteins through force-loading. In addition, utilizing logic gate systems to couple extracellular and intracellular-responsive nanomaterials are enabling therapeutic “circuits” that more precisely deliver drugs and regulate cellular responses, ultimately allowing us to engineer biomaterials that can truly sense, guide, and regulate tissue growth and repair. Dr. Greeshma Thrivikraman is currently a Postdoctoral Research Associate at the Oregon Health and Science University, Portland, Oregon. Her broad research interests encompass biomaterials, stem cell-based tissue engineering, artificial extracellular matrices and biophysical cues for stem cell differentiation. Greeshma obtained her undergraduate degree in bioengineering from SASTRA University, India and a postgraduate degree in Nanomedical Science from Amrita Centre for Nanosciences, Kerala, India. Subsequently, she pursued her Ph.D. in the interdisciplinary Nano Science and Engineering program from the Indian Institute of Science, Bangalore, India. Her doctorate research was focused on discerning the singular and combinatorial effect of external biophysical stimulation and substrate properties in directing stem cell lineage commitment. In particular, her research results demonstrated how electroconductive matrices in combination with nanoparticles or extracellular matrix proteins can be coupled with direct current and pulsatile electric field stimulation for eliciting neurogenic, cardiomyogenic and osteogenic differentiation of human mesenchymal stem cells. During her Ph.D. tenure, Greeshma received the Boehringer Ingelheim Fond Travel Grant to undertake a collaborative research project at the Max Bergmann Center for Biomaterials, TU Dresden, Germany. For her postdoc, she was awarded the Canadian Institute of Health Research Postdoctoral Fellowship, which she declined for her current position. 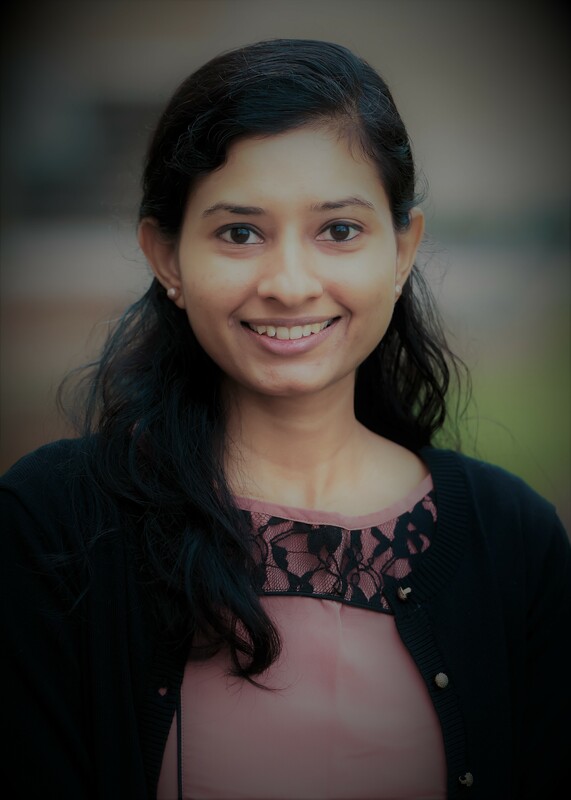 Greeshma’s postdoctoral work is centered on engineering 3D cellular microenvironments to fabricate synthetic vascularized bone model to study bone function, disease progression and pharmacological response. Greeshma has authored 2 book chapters and over 18 peer-reviewed research publications in high impact journals including Biomaterials, ACS Applied Materials & Interfaces and Advanced Healthcare Materials. She has also won young researcher awards at several International conferences. A: I have had several rewarding experiences during my graduate studentship as well as my early postdoc career. The most rewarding moment was when I received my doctoral degree from the Indian Institute of Science, Bangalore, India’s premier research institute. Apart from that, the publication of my research results in high impact peer-reviewed journals such as Biomaterials, Advanced Healthcare Materials, and ACS Applied Materials & Interfaces, a short-term internship at the MaxBergmann Center for Biomaterials at TU Dresden, Germany, supported by the Boehringer Ingelheim Fonds and my selection into the ACS Biomaterial Science & Engineering early career advisory board have been momentous career rewarding experiences. 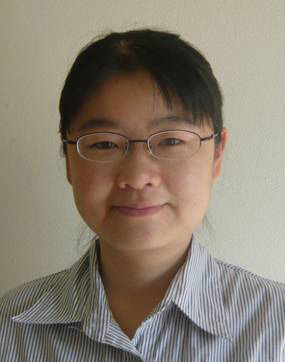 Dr. Jingjie Yeo’s long-term research goal is to develop a multi-physics molecular simulation platform to model and predict the mechanical, optical, and electrical structure-function relationships of films and hydrogels manufactured from synthetic proteins, and determine the response of human cells in these biomaterials. He is an innovative materials research scientist adept in multi-scale computational modeling of biological materials and processes for successful characterization and prediction of the structure-function relationships of natural and synthetic proteins, graphene, polymers, and complex fluid mixtures. Significantly, he formulated advanced molecular dynamics (MD) simulations to expound the molecular details of β-sheet formation that confers excellent mechanical properties to experimental pristine silk fibroin hydrogels. Yeo also established a coarse-grain MD framework to effectively and efficiently capture the experimental inverse temperature transition of silk-elastin-like protein hydrogels and the concomitant changes in their molecular structures. He is an effective and confident scientific communicator, participating extensively in writing and presenting numerous awarded research projects in academia, computational resources, and industry, including BASF and Proctor & Gamble. He was awarded fully-funded graduate and postgraduate fellowships from Singapore’s A*STAR. As of 2018, he has more than 20 peer-reviewed publications in high impact journals together with 20 collaborators in 4 countries, 21 conference presentations, 3 book chapters, and an h-index of 9. 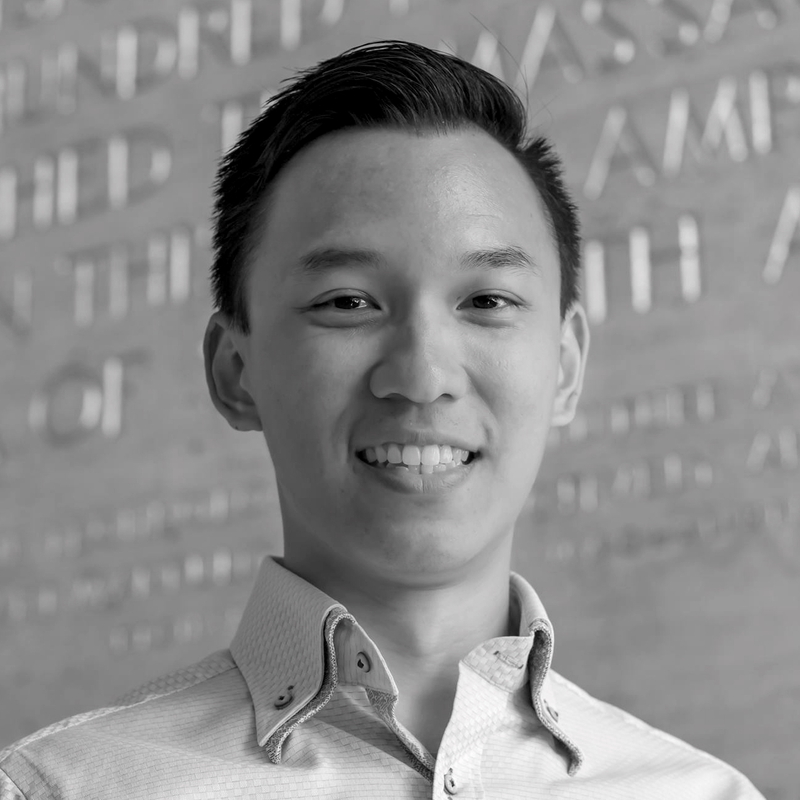 Yeo is currently a Research Scientist in the Institute of High Performance Computing and a Research Affiliate at the Massachusetts Institute of Technology. He was also a postdoctoral scholar at both MIT and at Tufts University. He received his B.Eng. in 2010 from Singapore’s Nanyang Technological University, majoring in aerospace engineering with a minor in business. He also received his Ph.D. in 2014 from NTU. A: My most rewarding moments are publishing or presenting research results that bore fruit from collaborative, multidisciplinary efforts. These efforts always encompass new perspectives, new friendships, and lasting scientific impact. Dr. Jorge Almodovar joined the Department of Chemical Engineering at the University of Arkansas as the Ray C. Adam Chair in August 2018 as an Assistant Professor. He earned his B.S. in chemical engineering from Iowa State University in 2007 and his Ph.D. in chemical engineering from Colorado State University in 2011. At CSU he investigated the delivery and stability of growth factors using polysaccharide-based biomaterials. After CSU, he worked as a Postdoctoral Fellow at the Grenoble Institute of Technology in Grenoble, France, investigating the formation of gradients on polyelectrolyte multilayer films, funded by the Whitaker International Program. 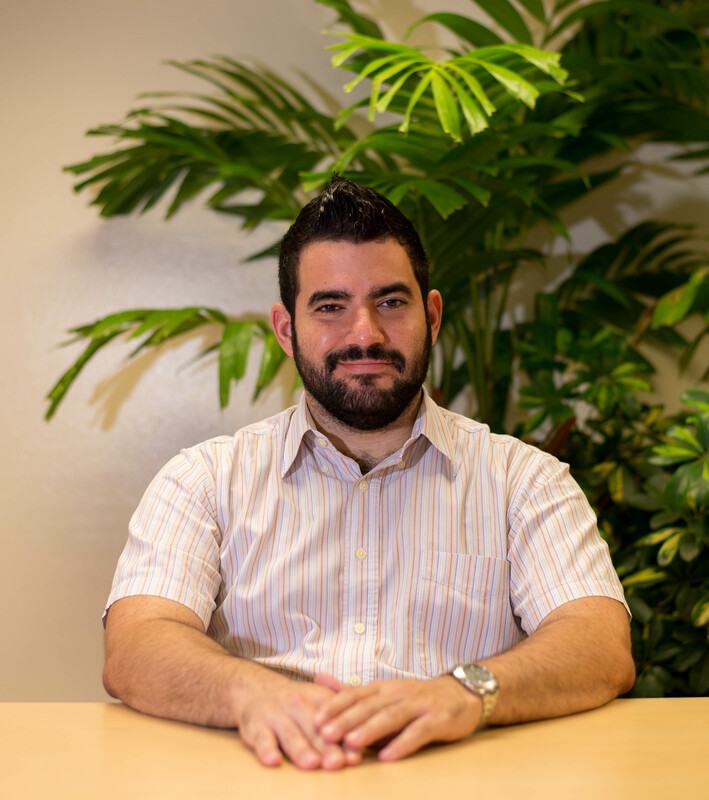 Prior to joining U of A, he was a faculty member at the Chemical Engineering Department at the University of Puerto Rico, Mayaguez, were he began an active research group. His research interests include extracellular matrix mimetic biomaterials, cell-material interactions, and biomaterials as therapeutics. His research focus is on the engineering of biomimetic materials—inspired by the native cell environment—for fundamental studies, cell manufacturing, tissue engineering, therapeutics, and regenerative medicine. He is an author of 17 peer-reviewed research articles and 5 book chapters, and an editor for one textbook. He has served as a peer-reviewer for federal grant proposals and for multiple journals in the biomaterials field including ACS Biomaterials Science & Engineering. A: I have had a number of significant mentors throughout my academic career that it is impossible to pinpoint one. My Ph.D. advisor (Dr. Matt Kipper), my postdoctoral advisor (Dr. Catherine Picart), colleagues from the University of Puerto Rico Mayaguez (Dr. Madeline Torres-Lugo and Dr. Aldo Acevedo), colleagues from other institutions (Dr. Andres Garcia), and current colleagues at the University of Arkansas have all positively impacted my career. 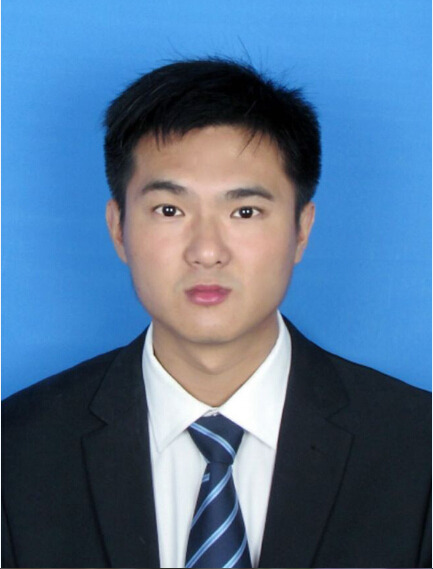 Dr. Jun Deng is an Associate Professor and Doctoral Supervisor at Third Military Medical University (Army Medical University) in Chongqing, China. He received his B.S. degree in chemistry and chemical engineering from Sun Yat-sen University in Guangzhou, China, and in 2010 he received his Ph.D. in polymer science and engineering from Zhejiang University in Zhejiang, China, in 2016. He currently works at Institute of Burn Research, Southwest Hospital, State Key Lab of Trauma, Burn and Combined Injury, Army Medical University. His primary research interest is in functional material surface construction and its application in early diagnosis and treatment of diseases. He has published 20 peer-reviewed papers as the first author or corresponding author, with a total impact factor of over 100. He has achieved a patent conversion of over 2 million RMB, 1 book and given some keynote and plenary lectures globally. He runs a prolific research program with funding from the National Natural Science Foundation of China (NSFC), Army of China, and Army Medical University for Tissue Engineering and Regenerative Medicine. A: In my view, the most exciting area of biomaterials research should be the nanobiotechnology, which refers to the intersection of nanotechnology and biology. 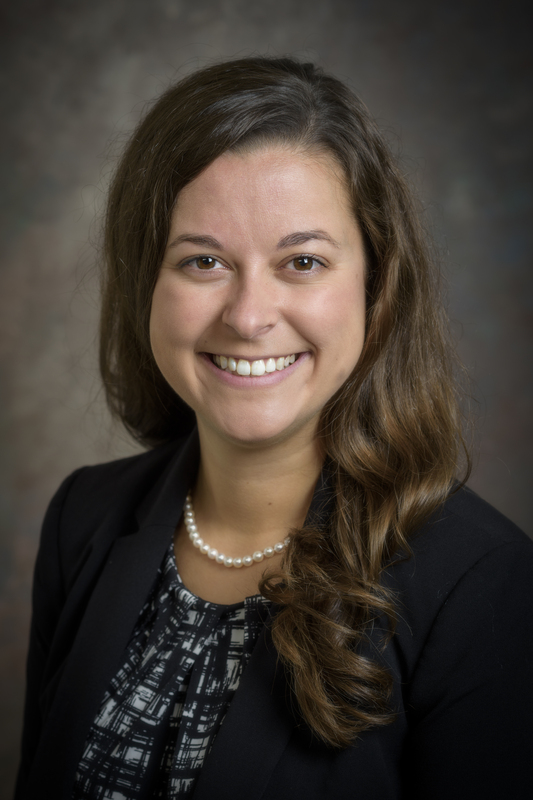 Dr. Kelsey Kennedy is a biomedical engineer with a skillset placed at the intersection of optical imaging of biomaterials and tissues, biomechanics, and translation of medical technologies. She has demonstrated success in implementing imaging techniques that bridge the gap between in vitro or ex vivo imaging in pre-clinical settings, and in situ imaging in clinical settings. She has published over 20 peer-reviewed journal articles and magazine articles on the evaluation of tissue microstructure and mechanical behavior using 3D optical imaging. Now at the Laboratory for Stem Cells and Tissue Engineering at Columbia, University, she is applying imaging- and biomechanics-based approaches to tissue engineering to help drive technical innovation in osteochondral disease modeling and to enable translation of microphysiological systems for the study of cancer metastasis. 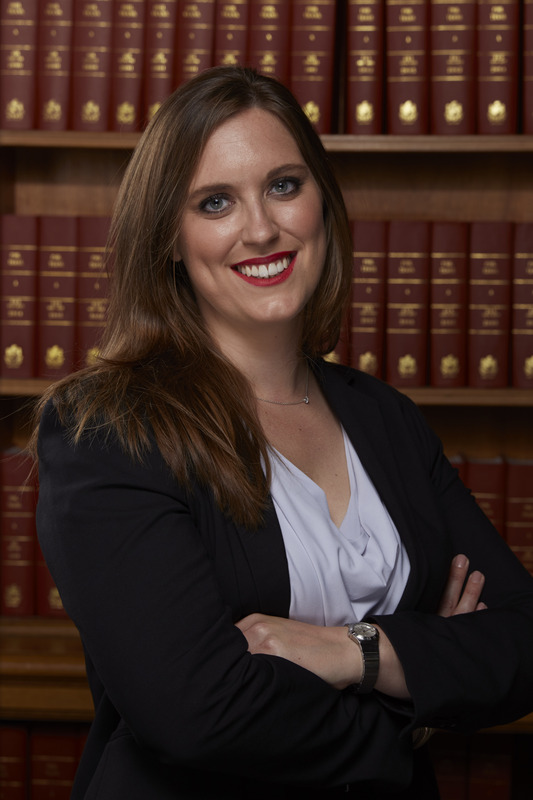 Prior to joining Columbia in 2017, Dr. Kennedy completed her Bachelors in Mechanical Engineering at the University of Notre Dame and her Ph.D. at the University of Western Australia. 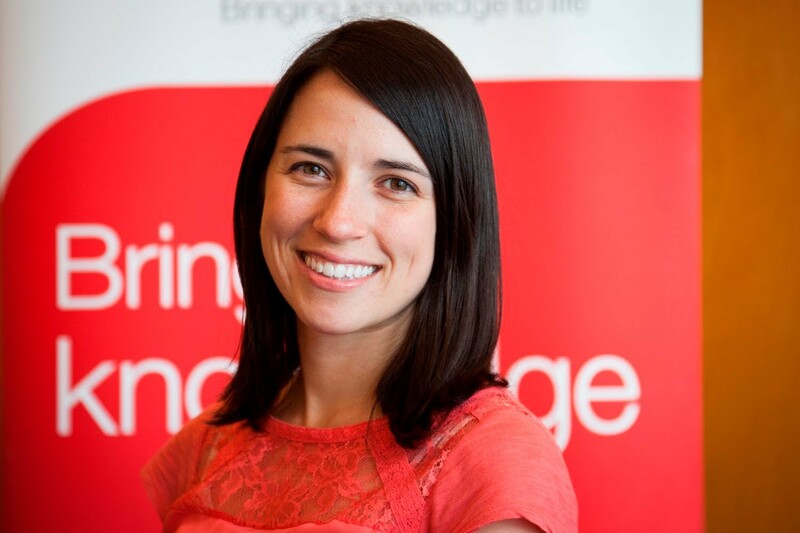 During her Ph.D., she co-founded OncoRes Medical, a medical imaging startup that is commercializing a device for detecting the tumor boundaries during breast cancer surgery. 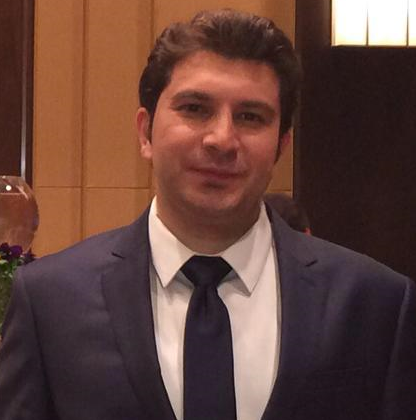 Dr. Mohammad Mahdi Hasani-Sadrabadi received his B.S. degrees in polymer engineering in 2007 and biomedical engineering in 2009 and an M.S. degree in polymer engineering in 2009 all from Tehran Polytechnic, then he got his M.Eng. in bioengineering and biotechnology in 2012 at Swiss Federal Institute of Technology in Lausanne, Switzerland. 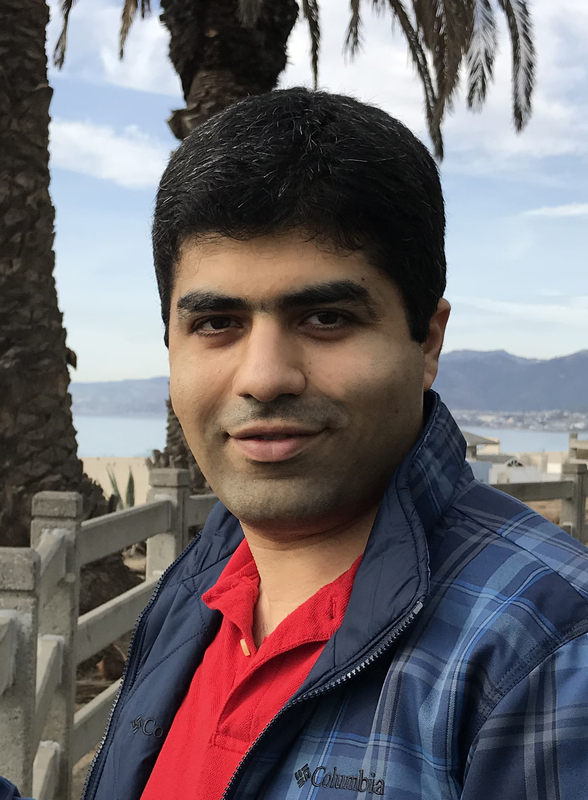 In 2013, he got his first Ph.D. in polymer engineering from Tehran Polytechnic, where he spent a year as a lecturer at the Biomedical Engineering Department. Then he left Tehran and started his second Ph.D. in 2014 in a bioengineering program at the G. W. Woodruff School of Mechanical Engineering at Georgia Institute of Technology. He successfully published over 20 journal papers during his three-year Ph.D. at Georgia Tech, working on developing microfluidics platform to improve the fabrication and analysis of cancer nanomedicine. Over this period, he also collaborated with UCLA School of Chemistry and UCLA Dental School to develop new biomimetic materials and biomaterials for craniofacial tissue regeneration. He started his research experience back in 2005 by working on tuning the physicochemical characteristics of polyelectrolytes based on the biopolymers. He then tried to develop functional materials as biomimetic ion-conductor membranes for power generation, drug delivery applications and lately for tissue engineering and immunoengineering applications. Recently, he has started his appointment as an Assistant Project Scientist in the Bioengineering Department at UCLA for developing novel biomaterial-based approaches to improve immunotherapy. Her main research interests include the development of biomaterial-based regenerative strategies, with main emphasis on bone regeneration. Oliveira has also been dedicated to the design of miniaturized systems to assess cell-biomaterials interactions, assembly of tailor-made bioreactors for cell response modulation, and development of new biomaterials processing techniques. Currently, she is also focused on the development of biomaterials for the encapsulation of pancreatic cells tackling the treatment of diabetes. Oliveira is the principal investigator of a research project awarded by the Portuguese agency for science and technology (FCT). For the last two years, she has been the main supervisor and integrated the supervision teams of students of different academic degrees. Mariana authors and co-authors more than 30 scientific publications. A: The most exciting aspect of biomaterials research for me is the ability to merge well-established and recently discovered concepts of tissues and organ systems’ physiology with technology to achieve effective designs for regeneration and disease therapies. I am interested in the deconstruction and isolation of striking factors that drive the efficacy of biomaterial-based cell-modulating systems. Dr. Md “Nabi” Nurunnabi is a Postdoctoral Research Fellow at Harvard Medical School, Massachusetts General Hospital. He was born in Bogura, Bangladesh in 1984. He received his B.S. with honors in pharmacy from the University of Development Alternative in 2007, in Bangladesh. Nurunnabi received his M.Eng. in chemical and biological engineering and Ph.D. in polymer science and engineering with bioengineering major in 2010 and 2014, respectively from Korea National University of Transportation, South Korea. His masters and doctoral research focused on fabricating and polymeric modification of nano-biomaterials and understanding their feasibility as drug delivery and imaging agents. During his Ph.D., Nurunnabi conducted part of his project at University of Utah, where he successfully completed a project on oral delivery of GLP1 under supervision of Dr. You Han Bae, that resulted a U.S. patent and publications. He has developed graphene based optical contrast agents for cancer imaging, boron nitride-based sensing platform for quantitative analysis of dopamine from blood, bile acid transporter specific oral therapeutic and diagnostic delivery, biomarker specific on targeting drug delivery for cancer, inflammation and fibrosis imaging and therapy. Beside academic research, he has experienced of industrial research and starting start-up where he translated product to third party through sub-licensing. His current research focused on designing and developing of advanced bioengineered materials for cell specific delivery of therapeutic and diagnostic delivery for better management of patient clinically. He has published 40+ peer reviewed articles, has 10 patents issued and pending, 2 of which has been licensed or sub-licensed to companies. 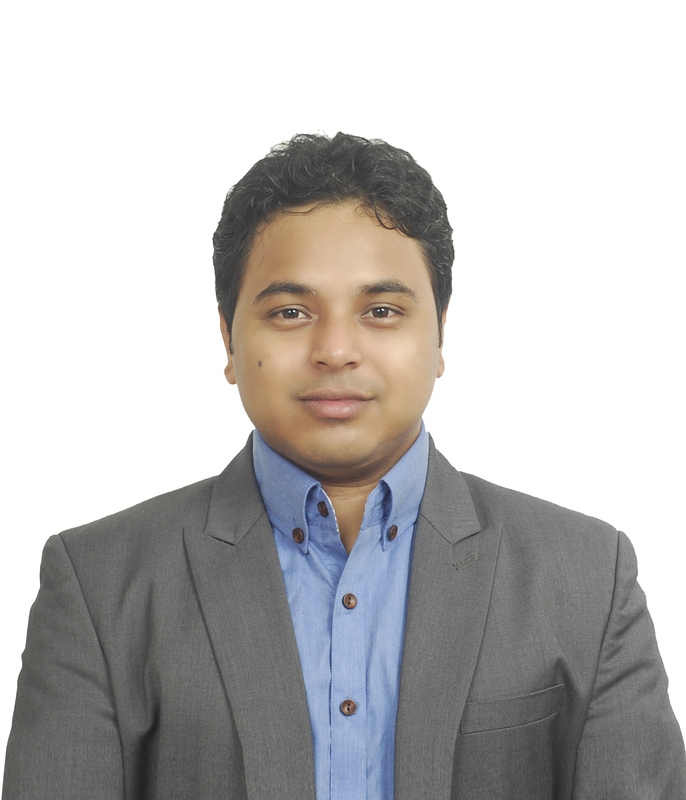 Nurunnabi’s career goal is to implement his experience and expertise to the healthcare sector for better management of disease through developing new tools and techniques. A: My pre-doctoral mentors; Professor Yong-kyu Lee (Korea National University of Transportation) and Professor You Han Bae (University of Utah), have been the most important mentors for my career. Dr. Neelkanth “Neel” M. Bardhan holds a B.Tech. from the Indian Institute of Technology, Bombay, in Mumbai, India, and was awarded the 2010 Institute Silver Medal. He then did his Ph.D. in materials science and engineering from the Massachusetts Institute of Technology in Cambridge, Massachusetts. 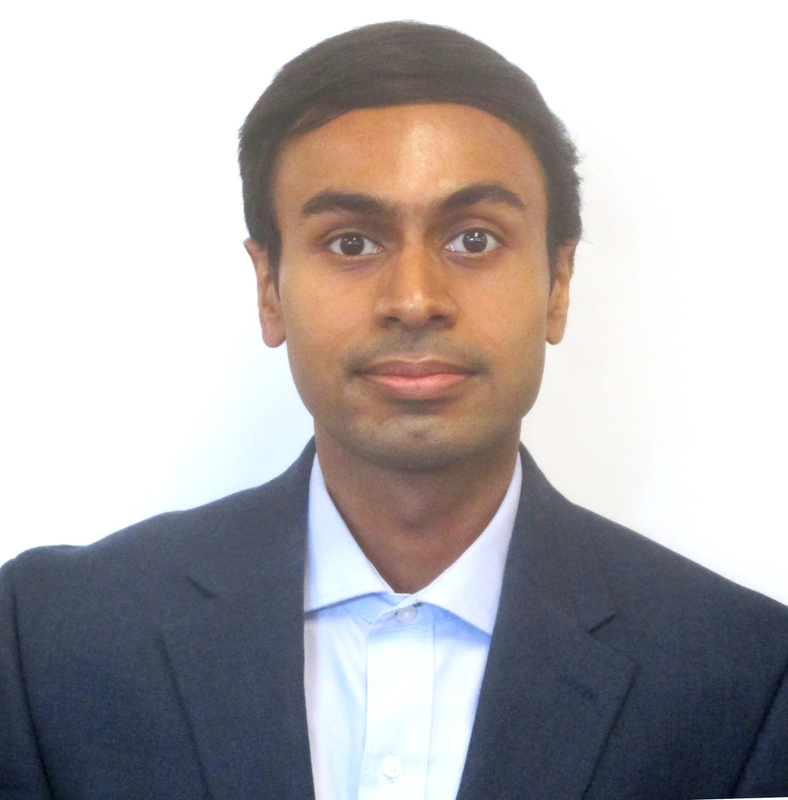 For his Ph.D. research on the use of biologically-templated, carbon-based nanomaterials for biosensing and diagnostic applications in cancer imaging and detection of deep-tissue pathogenic infections, Bardhan was a recipient of the MRS Graduate Student Gold Award, awarded by the Materials Research Society in April 2015. Following his Ph.D., Bardhan was funded by the 2016 Misrock Postdoctoral Fellowship, and the 2016-17 RLE Translational Fellows Program, working with oncologists at the Massachusetts General Hospital, towards clinical translation of his nanotechnology-based approach to cancer imaging. 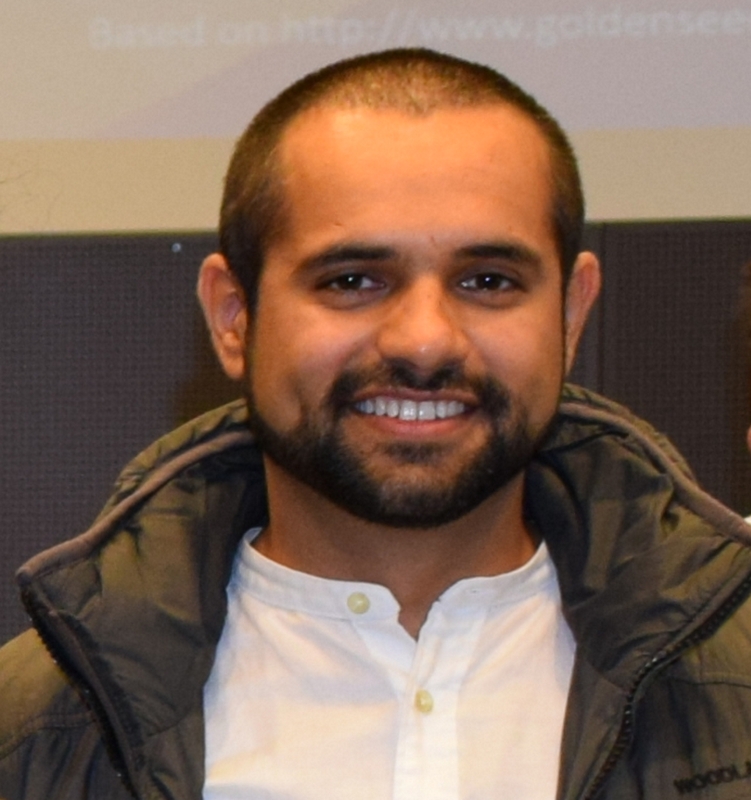 Bardhan is currently the 2017-19 Mazumdar-Shaw International Oncology Postdoctoral fellow, affiliated with The Koch Institute for Integrative Cancer Research at MIT, working at the interface of materials science and cancer biology for developing an alternative therapeutic approach for ovarian cancer using near-infrared phototherapy, for patients who have become resistant to standard chemotherapy agents. Bardhan has served as a Peer Reviewer for Nano Letters, ACS Nano, and ACS Biomaterials Science & Engineering, among other journals. Bardhan is listed as an Inventor on 2 issued U.S. patents and has 4 additional patent filings in progress; and has authored several first-author publications. In addition to research, Bardhan enjoys being actively involved in youth leadership, with contributions in issues pertaining to science funding, climate change and sustainability, and science outreach. A:I believe that my Ph.D. dissertation advisor, Professor Angela Belcher, has been the most important mentor in nnb career. Professor Belcher has taught me the importance of being able to dream big, and challenge the conventional wisdom even in the face of doubting critics, backed up by solid research and facts-based evidence. Dr. Neus Feliu got a B.S. in chemistry from Universitat de Barcelona in 2007 and obtained her M.S. degree in biomedical materials from the Royal Institute of Technology in Stockholm in 2009. She obtained her Ph.D. degree in medical science from the Karolinska Institutet in Stockholm, in the field of engineered nanomaterials for biomedical applications in 2014. Afterwards, she joined a research group at the Department of Clinical Science and Technology at KI as a postdoctoral researcher. She continued her career as Vinmer and Marie Curie Fellow at the Department of Laboratory Medicine, Clinical research Center, KI, Stockholm, Sweden. 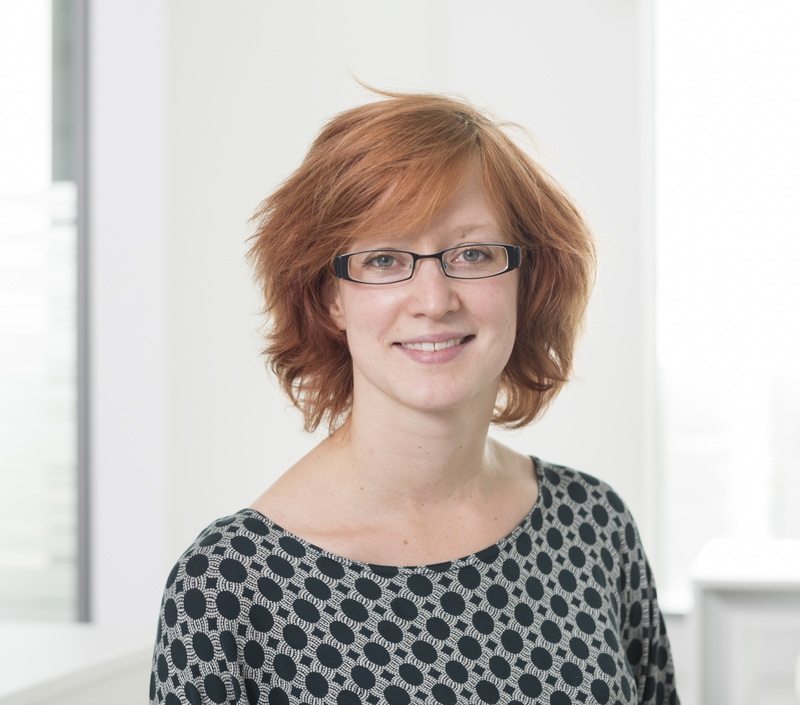 She is currently a Research Associate at the Center for Hybrid Nanostructures, Hamburg University. Her research focuses on the synthesis and characterization of micro- and nanoparticles, with the aim to develop smart multifunctional materials for a wide range of bio-applications including sensing and delivery. In particular, her interest focuses on better understanding the interactions and correlations of materials with biological systems involving biocompatibility studies with living cells and explore their use in the medical field. A: During my career I have been very fortunate to have the opportunity to meet wonderful, knowledgeable, and encouraging mentors, who helped me to build my career in both personal and professional aspects. My special thanks goes to my Ph.D. co-supervisior Professor Andreas Nyström, an enormous source of inspiration, extremely knowledgeable, and one of the most honest persons I have met. He has helped me to stand out in challenging situations, and had a long-lasting, positive, and stimulating impact on me. Dr. Nuria Oliva-Jorge graduated from Institut Quimic de Sarria, Universitat Ramon Llull, in Barcelona, Spain, with a B.S. in organic chemistry. 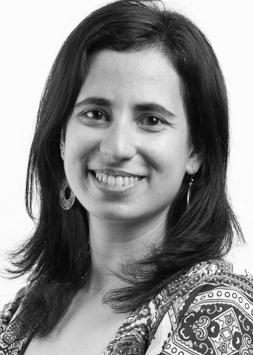 She received her Ph.D. in medical engineering and medical physics at the Harvard-MIT Division of Health Sciences and Technology, focused on the development of a novel adhesive hydrogel and its use as a model platform to understand how disease microenvironment affects material performance and how to leverage those cues to attain tumor cell-selective delivery of chemotherapy in a local and sustained manner. She then spent a year at Brigham and Women’s Hospital at Harvard Medical School as a NIH Ruth L. Kirschstein Postdoctoral Fellow. 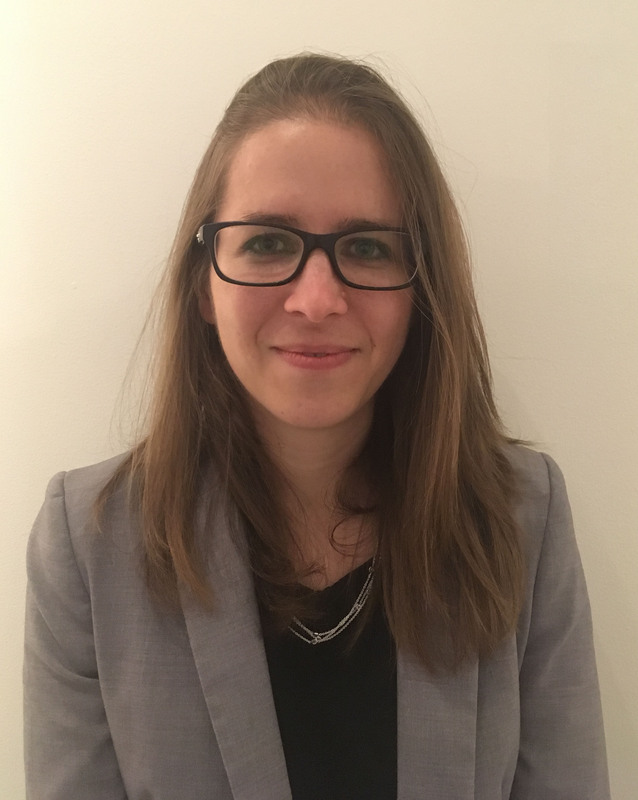 She is currently a TECNIOspring PLUS Postdoctoral Fellow, within the Marie Skłodowska-Curie Action (Horizon 2020) and ACCIO funding (Generalitat de Catalunya), working in a collaborative project between Imperial College London and Institut Quimic de Sarria. 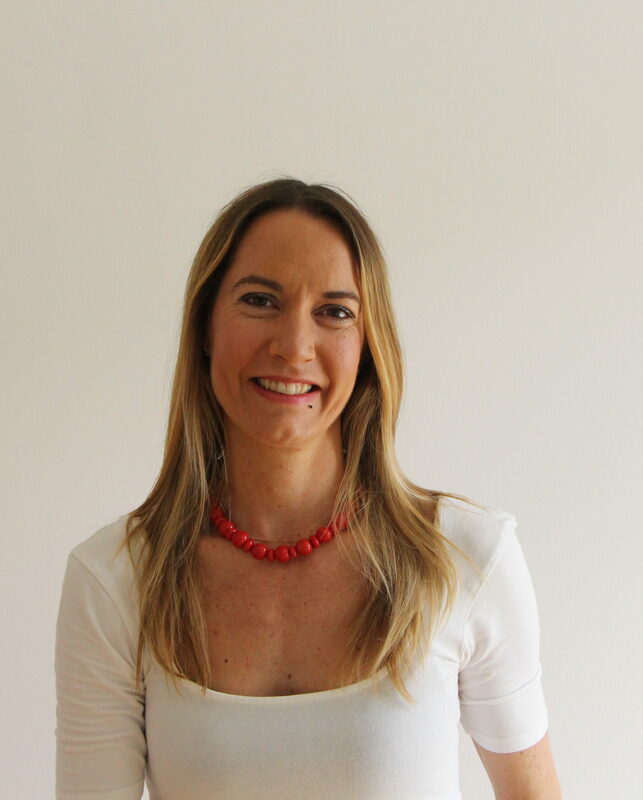 Nuria’s work focuses on the development of smart nanomaterials for controlled delivery of growth factors for wound healing and bone regeneration. A: A few weeks ago, after giving a talk at the New Scientist Live festival, a young girl approached me and told me that she loved my research and she wanted advice on what degree to study to do the research I do. Knowing that I have inspired a young woman to pursue a career in STEM is definitely the most rewarding moment in my career as a scientist, and I work every day to continue to inspire more girls to follow their dreams and realize they can be anything they set their minds to. Dr. Rachel Letteri is an Assistant Professor of Chemical Engineering at the University of Virginia (UVA). She obtained a B.S. in chemical and biomolecular engineering from the University of Notre Dame in 2010 and a Ph.D. in polymer science and engineering from the University of Massachusetts, Amherst, in 2016. Her graduate research, under the direction of Professor Todd Emrick and Professor Ryan Hayward, involved the synthesis and assembly of functional hydrophilic polymers. Specifically, she synthesized polymer-peptide conjugates and polymer zwitterions in linear and comb architectures, and evaluated these materials as responsive emulsion surfactants and non-viral gene therapy reagents. In 2014, she was awarded an NSF East Asia Pacific Summer Institutes Fellowship to conduct research on zwitterionic polymer nanocomposites at Nanyang Technological University in Singapore. Letteri joined the laboratory of Professor Karen Wooley in the Department of Chemistry at Texas A&M University as a Postdoctoral Researcher in 2016, and investigated the impact of stereochemistry on the assembly of amphiphilic block polypeptides. While at Texas A&M, she led the organization of an ongoing Science Night program, which brings together ca. 15 science and engineering groups to provide an evening of hands-on activities for students and their families at local elementary schools. At UVA, the Letteri group will engineer adaptive polymer-peptide composites that display a breadth of thermomechanical properties and promote productive interactions with biological systems. By leveraging the rich variety of polymer and peptide molecular interactions in solution and at interfaces, her lab will develop materials with shear-thinning, self-healing, shape-memory, and molecular recognition properties to enable 3D printing of regenerative scaffolds and new therapeutic strategies for Amyotrophic Lateral Sclerosis, among other applications. A: Interfacing modular, highly tunable materials with complex, highly functional biological systems to enable regenerative medicine is an incredibly exciting area of biomaterials research that integrates a broad range of biomaterials and a rich diversity of techniques, approaches and researchers to improve the lives of patients. It is tremendously inspiring and fulfilling to have the opportunity to work with, mentor, and learn from researchers across medicine, biology, chemistry, physics, material science, and engineering to continuously advance the state-of-the art materials, therapies, measurement and characterization tools, and computational methods needed to address this grand challenge. Dr. Rong Yang a classically trained chemical engineer conducting research on infectious disease treatments. She completed his Ph.D. at MIT in 2014, followed by postdoctoral training at Boston Children’s Hospital and Harvard Medical School. She is currently a research assistant professor at Harvard Medical School, and will soon take on a tenure-track position in the Smith School of Chemical and Biomolecular Engineering at Cornell. Her research focuses on the design of functional materials that interface with bacteria and influence their behavior, including generating vapor-based technologies for surface modifications with molecular-level precision. Applications of the modified surfaces range from lowering the cost of seawater desalination to reducing implant-related infections. The vapor techniques are scalable; the functional surfaces are thus transferrable to industrial production. She is also interested in understanding surface interactions from a fundamental perspective. The vapor-deposited functional materials can be easily integrated into the state-of-the-art technological platforms. This allows for quantifying bacteria-surface interactions on the piconewton level, to develop methodologies to capture the spatial-temporal evolution of biofilm formation, and measure its density and viscoelastic properties in situ. Later research at Harvard Medical School focused on developing infectious disease treatments using his material design expertise. She works with otitis media, the most common reason for antibiotic prescriptions to U.S. children, and developed a local treatment that eliminates systemic antibiotic exposure. The treatment is under preparation for human clinical trials. Her research program focuses on vapor-deposited biointerfaces for healthcare and sustainability. Her efforts have been directed towards understanding bacteria-surface interactions on a molecular level and applying the insight to developing therapeutic platforms for infectious diseases, such as surface-engineered nanoparticle- and membrane-based therapies. A: I am most excited about controlling biofilm phenotype via surface modifications. The insight into how bacteria respond to surface properties could allow us to harness the biosynthesis capability of biofilms while suppressing fouling and pathogenicity. The insight could also shed light on the evolution and principles of multicellularity. Dr. Shane Browne received a B.Eng. in biomedical engineering and a Ph.D. from the National University of Ireland Galway. His doctoral thesis was supervised by Professor Abhay Pandit at the Centre for Research in Medical Devices at NUIG, and focused on the control of inflammation and angiogenesis via therapeutic release from a multi-modal collagen hydrogel system. During his doctoral studies, he was awarded travel grants from the European Molecular Biology Organisation and the Deutscher Akademischer Austauschdienst to work with Professor Katja Schenke-Layland at the Fraunhofer Institute for Interfacial Engineering and Biotechnology IGB, in Stuttgart, Germany. He is currently a Postdoctoral Research Fellow at the Department of bioengineering at the University of California Berkeley under Professor Kevin Healy. His research interests include the development and testing of biomaterials for the delivery of therapeutics and semi-synthetic extracellular matrices for the delivery of stem cell-derived cells for therapeutic vascularisation. His postdoctoral work has been funded by prestigious fellowships from the Irish Research Council and the American Heart Association. He has authored manuscripts in leading journals in the field and has presented his research at both national and international conferences. In addition, he has been awarded the European Doctoral Award by the European Society for Biomaterials. 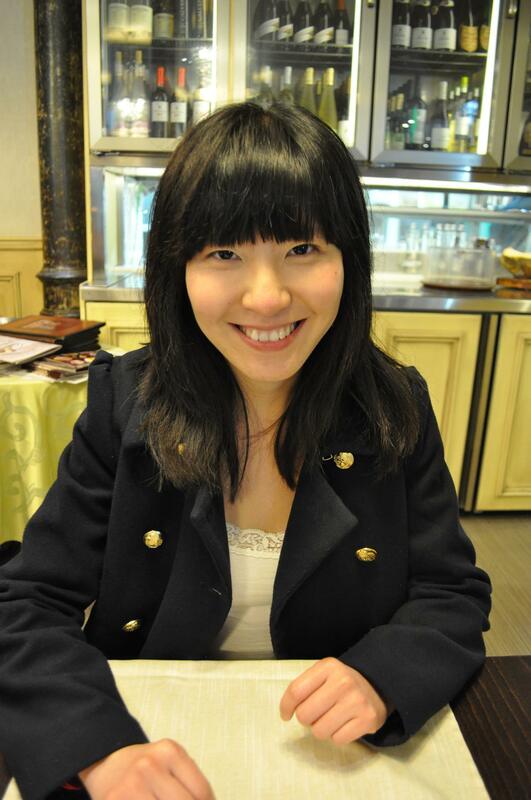 Dr. Shengjie Ling is assistant professor in the School of Physical Science and Technology at ShanghaiTech University. His research focuses on developing biopolymer functional materials through the integration of synchrotron-based characterization, computational modeling and bioinspired & biomimetic fabrication. He obtained his B.S. degree from the Zhejiang University of Technology (2009) and Ph.D. from Fudan University (2014). During 2012-2013, He awarded the State Scholarship Fund of China to pursue his study at ETH Zurich, Switzerland, as a joint Ph.D. student. 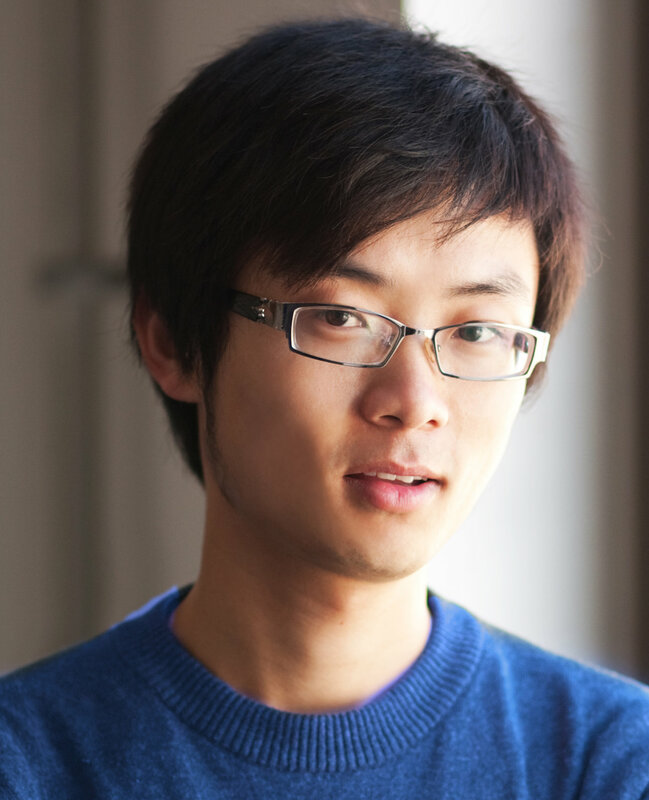 Prior to joining ShanghaiTech University, he worked as a postdoctoral associate at MIT and Tufts University (2014-2017). A: The most exciting area of biomaterials research for me is to integrate computational modeling, experimental characterization and synthesis to produce biomaterials with optimized “structure-property-function” relationships. The combination of computational modeling and experimental techniques provides synergistic support to design a material from the atomic- to macro-scale, and all biomaterials are included in such region. Dr. Tushar Kumeria is an Australian National Health and Medical Research Council Early Career Fellow at the School of Pharmacy, The University of Queensland (UQ), Australia. He has co-authored 47 high-impact journal publications in various internationally renowned journals in the field of nanomaterials, biomaterials, sensing, and drug delivery. He completed his Ph.D. in 2015 from the University of Adelaide with a Doctoral Thesis Medal and Dean’s Commendation Letter. In 2015, he moved to the U.S. and spent two years at University of California, San Diego, as a postdoc with Professor M. J. Sailor’s group. Porous silicon based delivery systems for highly efficient and targeted delivery of protein/biologics via oral or other administration route. Porous silicon or porous alumina photonic crystals based point-of-care sensors for diagnostics and environmental applications. A: My most important mentors is my postdoc advisor Professor M. J. Sailor at University of California-San Diego. I have not only learnt about science, but also management of a great group/team. Dr. Wei Zhang received her Ph.D. in stem cells and regenerative medicine from Zhejiang University, China in 2015. During 2015-2018, she did postdoc work at Umeå University in Sweden. In September 2018, she returned to China to set up her own research group as an Associate Professor in the School of Medicine at Southeast University. Her research mainly focuses on tissue engineering and regenerative medicine, which involve interdisciplinary studies of biomedicine, materials science and clinical medicine. Her research utilizes stem cells, biomaterials (silk and collagen) and signals (physical stimuli and bioactive factors) to promote the repair and regeneration of cartilage, bone, skin, cornea and abdominal tissue etc. She works both on basic research and translational research from scaffold fabrication, in vitro evaluation, biocompatibility evaluation, small animal study, large animal study, controlled clinical trial to medical device registration. These findings will promote the development of effective regenerative medicine therapies to treat common tissue injuries, and facilitate the translation of innovative researches from bench to bedside. A: Three years ago I was involved in a translational research of a novel biomaterials-based scaffold. This scaffold was used on 36 patients with large skin wounds and effectively promoted the wound healing speed and reduced the occurrence of adverse events. At that time I recognized that what I researched could really help the patients and improve their quality of life. Dr. Yi-Cheun Yeh is an Assistant Professor at the Institute of Polymer Science and Engineering in National Taiwan University. She received her B.S. and M.S. in Chemistry from National Taiwan Normal University. Yi-Cheun pursued her Ph.D. in Chemistry at University of Massachusetts, Amherst under the guidance of Professor Vincent Rotello. Her doctoral work mainly focused on engineering the Nano-Bio interface through the tailoring of the surface monolayers of nanomaterials. 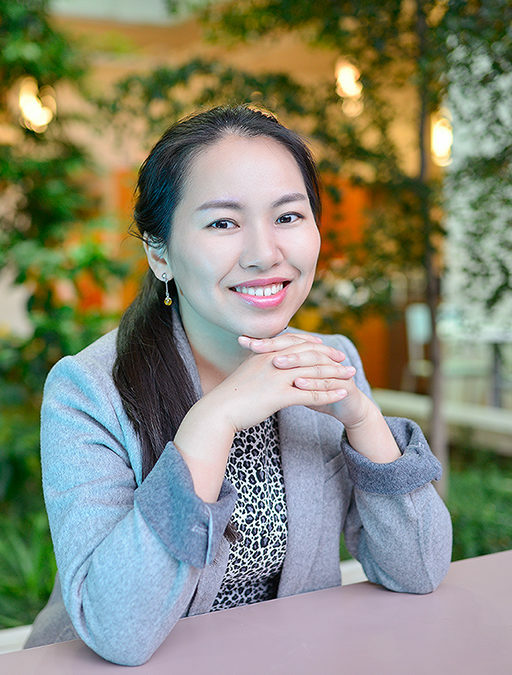 Upon graduation, Yi-Cheun moved to Philadelphia to perform her postdoctoral studies in the polymeric biomaterials laboratory of Professor Jason Burdick, with the focus of developing functional polymers for biomedical applications. The goal of her research is to engineer functional materials to obtain fundamental understanding and practical applications in nanomedicine, tissue engineering and biofabrication. Towards this goal, her lab will develop programmable nanocomposite hydrogels through the integration of polymer synthesis and surface functionalization of nanoparticles. The interface of nanoparticles and polymers will be tailored and manipulated with multiple chemical approaches to present dynamic and user-defined features. The utilization of diverse chemistry on both nanomaterials and biomaterials provides a potent strategy in creating versatile hybrid materials to engage in the cutting edge Material-Biology research, and to serve as a promising platform for next-generation smart materials for biomedical applications. A: I think the most exciting area of biomaterials research would be the use of biofabrication techniques to construct biomimetic environment for tissue engineering. Dr. Yun Xiao received a B.Eng. in biomedical engineering from Sichuan University in 2010 and a Ph.D. in chemical engineering from the University of Toronto in 2016. She returned to Sichuan University to join the faculty and currently is an Associate Professor at the National Engineering Research Center for Biomaterials. Her research is at the interface of materials science and cell biology, with particular focus on microenvironment regulation of stem cell behavior to promote tissue regeneration by biochemical and biophysical stimuli. She has extensive experience in cardiac tissue engineering and wound healing particularly with collagen-based biomaterials. Xiao participated in developing the Biowire system, a novel ‘heart-on-a-chip’ platform for predictive cardiac drug testing, which is being commercialized by TARA Biosystems. In collaboration with cardiac surgeons, she demonstrated for the first time that one can rejuvenate mesenchymal stem cells from aged human patients using biomaterials and this work was published and highlighted in the Journal of the American College of Cardiology. In her work published in the Proceedings of the National Academy of Sciences, Xiao demonstrated that the hydrogel with covalently immobilized QHREDGS promoted wound healing by enhancing cell survival and epithelial cell migration both in vivo and in vitro. 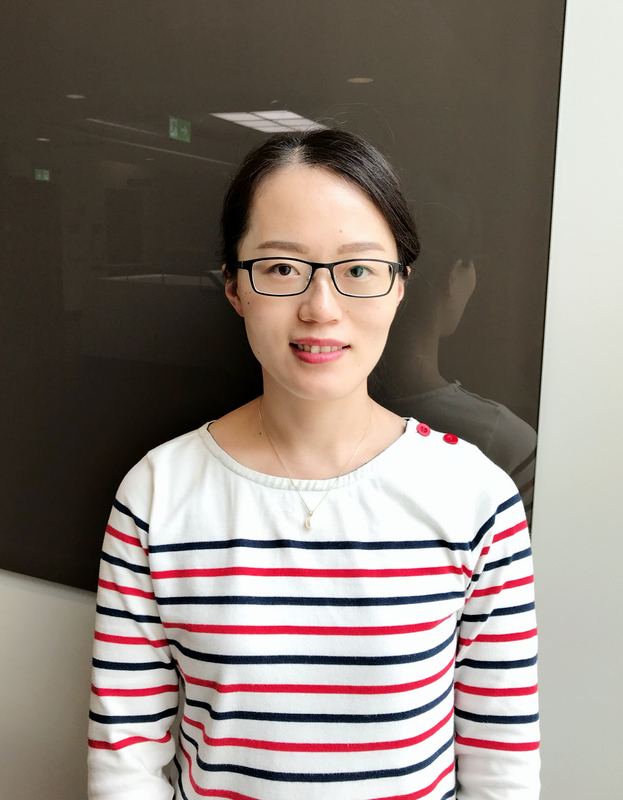 Xiao is currently working on developing biomaterials that present biophysical cues with improved spatiotemporal control and modulating cell-microenvironment interactions under dynamic mechanical loadings such as in musculoskeletal system.